From internationally acclaimed yoga master teacher and scholar Paul Grilley, comes this in-depth training program which synthesizes Paul’s work in Yoga Anatomy and Yin Yoga into a profoundly logical and illuminating approach to the practice of yoga asana. Paul’s “Functional Approach” is deeply rooted in a reverential understanding of the historical origins of yogic thought and teaching, while expertly addressing the most important needs of today’s yoga practitioners and teachers. The idea of a visually “Perfect Pose” that everyone must strive to achieve is a fallacy that can result in ineffectiveness and even injury. The ultimate limit to every range of motion in yoga is our bones, and no two people’s bones are exactly alike. Everyone has a different range of motion in every pose. Therefore, in order to be truly effective, a yoga pose must be adapted to the unique bones and body of each individual. This fundamental insight has informed Paul’s work for many years. In the Functional Approach, Paul has developed this insight into an indispensable program for all yoga practitioners, from beginners to teachers, which he applies to the entire catalog of Yin Yoga poses. You will learn to identify the 7 archetypal pose families and their purposes, the 24 Target Areas of the body, skeletal variation, tension, compression and other knowledge essential for any effective yoga practice. You will become more intimately aware of how your individual body works – which movements and poses are most beneficial for you and which are a waste of your time or even possibly injurious. And you will also discover that the Functional Approach can be effectively applied to ANY style of yoga! This program contains over 20 hours of video content, a 100+ page illustrated study guide, Completion Exam, Completion Certificate and 20 Hours Yoga Alliance CEU Credits. Yin Yoga Anatomy Workshop – a 12 hour workshop examining in definitive detail, the 7 archetypal poses and their variations, the 24 Target Areas of the body and the essential anatomical aspects of each Yin Yoga pose including, demonstrations, analysis, self-quizzes, teacher instruction, and Q & A, all of which can be repeated as many times as you like and done at your own pace. 8 Paul Grilley Practices – 8 Practices for 8 different life situations designed by Paul Grilley. Study Guide – A downloadable, 100+ page illustrated study guide with with all key images, anatomical illustrations, self quizzes and every major point in the program for your reference anytime. Certificate of Completion – Following a successful Completion Exam you will receive a Certificate of Completion. 20 Hours Yoga Alliance CEU Credits – Use your Certificate of Completion to register with Yoga Alliance for 20 CEU (Continuing Education Units) Credits. The Practice Builder – And finally, you will receive our exclusive PRACTICE BUILDER. This powerful tool, with over 8 hours of practice material, lets you create and save your own custom practice sequences from all the Yin poses, plus several Yang sequences, and to choose from the 8 practices created by Paul Grilley. Choose from every Yin Yoga pose to make your own sequences. Choose the length of time to hold each pose: 2,3, or 4 minutes. Choose whether or not to include a Counter Pose after each pose. Choose when and if to include a Rebound Pose. Easily create and save an unlimited number of your own practices. Design Practices based on TIME – 20, 35, 45, 60, 75 minutes, etc. – It’s up to you! It is important to understand that this course and the downloadable supporting material will be delivered via online Streaming Media. It will NOT be available as a DVD. 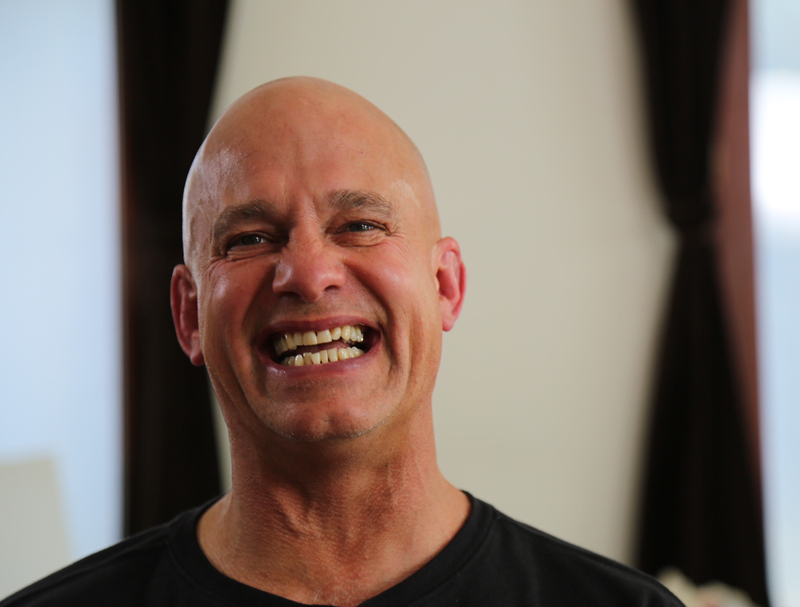 You will have access to YIN YOGA: THE FUNCTIONAL APPROACH With PAUL GRILLEY at all times.